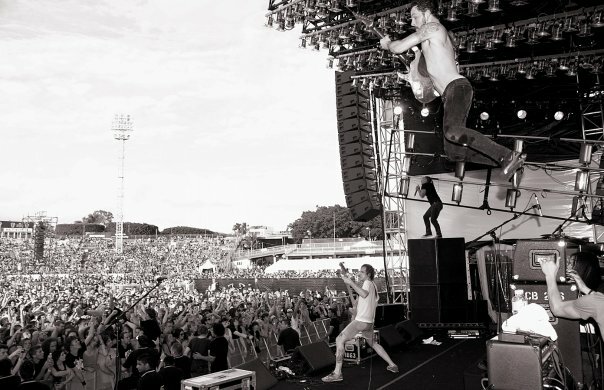 If you know Ben Weinman’s name, it’s probably because you’re familiar with his band, the Dillinger Escape Plan, which he founded in 1997 while he was still in college. Now, Ben has a new venture: Party Smasher Inc., a multi-faceted media and production company designed to help young creatives, and especially musicians, find success in the business so that they, like Ben, can quit their day jobs and do what they love. We talked to Ben to find out more about his new project. Tell me about Party Smasher — what do you do, how’d you get where you are? How did you go from musician to business person? 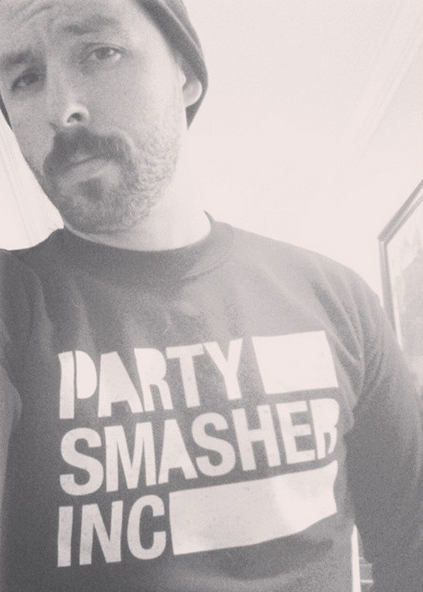 Party Smasher Inc. is only really just beginning. At the moment we are just kind of throwing stuff out there and talking to people who can help inspire young artists by telling their stories. Our motto is “Break Everything and make something better.” I really believe that everyone has the ability to be creative as long as they maintain a young playful and dangerous side to themselves. We want to nurture that attitude. Party Smasher Inc. is not just a network or a brand, it is a gang. We believe in a code of ethics. We believe if you don’t have anything to say then don’t say anything at all. We intend to inspire and empower artistic scenes and their communities to create stories about themselves and the world. My business has always been about passion and truth. This is just an extension of that. Nothing really. When it’s real you don’t have to try very hard. I will say that I look forward to bringing on more Party Smashers to help grow the network. At the moment it’s just basically myself and a 10 year old kid creating all the content. What is it about DIY success stories that you’re drawn to? Photo via The Dillinger Escape Plan on Facebook. It’s my culture. It’s where I come from. No matter where I am in the world, when I meet someone who comes from the DIY scene, I immediately relate to them. We are brothers. We understand each other. What have you learned from working with other artists? I’ve learned that there is no right or wrong way of doing things. The term “there is more than one way to skin a cat” could never be more true when it comes to artistic collaboration. Someone once told me that success is all about luck but the real intelligence comes when you can turn that luck into more success. Don’t screw it up, basically. Learn from it. And parlay that into more interesting successful endeavors. I would just say that if you are trying to make a living in the music business, I would think about your career like jazz. You need to no how to improvise and trust your instincts. Keep moving forward and turn every opportunity into a new one. Don’t limit yourself to some limited idea of what success is. Just enjoy the ride and don’t look back.